When one of your colleagues has a baby, you’re likely to congratulate her, buy her a gift, and maybe even cover some of her tasks while she’s out on leave. And while the policies that allow such leave for the care of newborn children are not all many people would like them to be, there is at least an ongoing conversation about the issue in the United States. But if your coworker’s aging father needs regular help with daily living, or his sister is undergoing cancer treatments and requires assistance at home, you’re much less likely to know what’s going on. These caregivers often toil in the shadows, struggling to maintain their busy work schedules while also spending hours helping those they love. And when it comes to policies to support them, they’re often in a much worse position than are new parents. 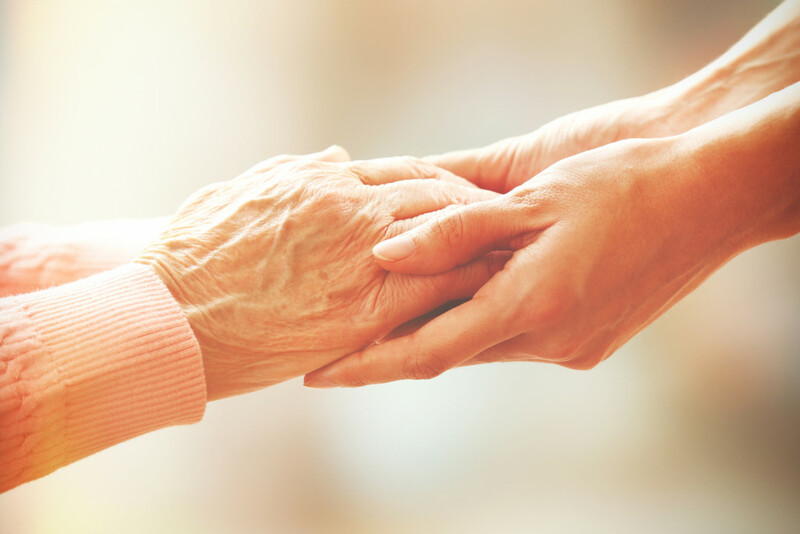 Sharon Block, senior counselor to the secretary of labor, said in a short explanation of the report that officials at the Labor Department hear frequently from people who are struggling to take care of their parents and aging relatives. And Thomas E. Perez, U.S. Secretary of Labor, said in a foreword to the 48-page report that millions of working Americans are also caregivers, allowing seniors to continue living independently and defraying the costs of paid or institutional care. “In fact, the economic value of informal care for elders was an estimated $234 billion in 2011, more than institutional and community care combined, according to the Congressional Budget Office,” Perez said. Those numbers are likely to grow as baby boomers age. By 2050, the elderly population of the United States is expected to nearly double to 88 million from 48 million in 2015, the report said. At the same time, Americans are living longer, which leaves them more vulnerable to health problems and in need of help. For that help, millions will rely on family members, friends, and neighbors to provide intermittent or regular assistance with everything from medical care and daily activities like bathing and cooking to managing finances and completing housework. 77 percent of those caregivers hold full-time jobs. A majority of these caregivers are aged 45-64, and almost one in four is a millennial, aged 15 to 34. 27.5 percent of working caregivers are part of the “sandwich generation,” meaning they simultaneously care for children and an older loved one. Among working caregivers who are caring for people age 50 and older, 60 percent experienced some impact at work due to caregiving, according to the report. These people need help from their employers if they want to balance work and caregiving, and the report suggests that businesses focus on four key areas. Next, employers should offer paid sick time so caregivers can take time off for a broad range of reasons, and on short timeframes. The third suggestion—and one that will especially resonate with 1MFWF supporters—is to offer more work flexibility to caregivers. The Labor Department report also points out that offering more flexibility can be a benefit to companies, as it leads to improved employee retention and commitment, reduced absenteeism, better customer relations, and higher productivity. While offering such flexibility is not the norm, U.S. businesses are making progress in this area, the report said. For example, more companies and states are enacting “right to request” policies and laws, which give people the right to ask for flexible work schedules. And as is frequently the case, those kinds of policies will help all workers, whether they have caregiving responsibilities or not. Those happier, more satisfied employees will, in turn, tend to be more loyal and productive. So again, everyone wins. What part of this Department of Labor report is most interesting or surprising to you? Has your company instituted policies to help caregivers? How have those policies been received? What other policies would you suggest to help people who are caring for others? Please share your ideas in the comments section. I think providing the science behind supportive human behavior and the increase of productivity is the key to creating change. We need to take it a step deeper with the out layer examples both the positive and negative ones and deconstruct were the issues originated to illustrate everyone’s accountability in the outcome.